To counter a media scandal, Raffaele must marry Vivi. And he’s not above using seduction to convince her! But when Vivi discovers she’s pregnant, Rafaelle demands she meet him down the aisle—for real! When Luca uncovers the existence of his hidden son, he’s determined to whisk his new family away to his Sicilian estate. But Luca knows there’s only one way to truly claim Annah and his son… marriage! Sienna should not be secretly attending her ex-husband’s wedding. Until she realises Nico isn’t the groom… But when he follows her, their burning fire reignites, leaving Sienna shockingly pregnant with the Italian’s child! 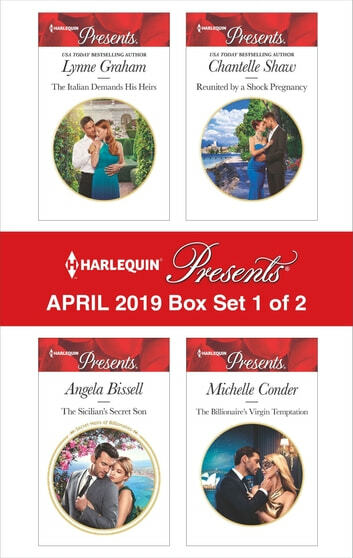 Be sure to collect Harlequin® Presents’ April 2019 Box Set 2 of 2!